I'm the pastor of Main Street Pentecostal Assembly in Woodstock, New Brunswick, Canada. Your Web Page is very attractive,done very well.And of course the great revelation of whom Jesus is...Luke 10:22...Great Work!!! 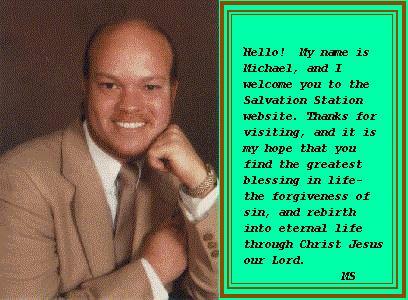 This Web-site is a great way of spreading the Gospel of Jesus Christ!